Each year since 2012, the first Sunday of May marks the celebration of the International Family Equality Day (IFED) – an LGBTIQ-awareness day that honors the beauty of all families as a means to promote equality for everyone. Starting out small, the IFED community has quickly grown into a worldwide movement. In 2017, the IFED was commemorated in 44 countries and over 100 cities. This year, even more countries such as Chile, Taiwan and Fiji joined the IFED-family, with approximately 60 organizations and 600 volunteers being involved. “We are very happy with how the IFED has developed”, says IFED-founder Maria von Känel. 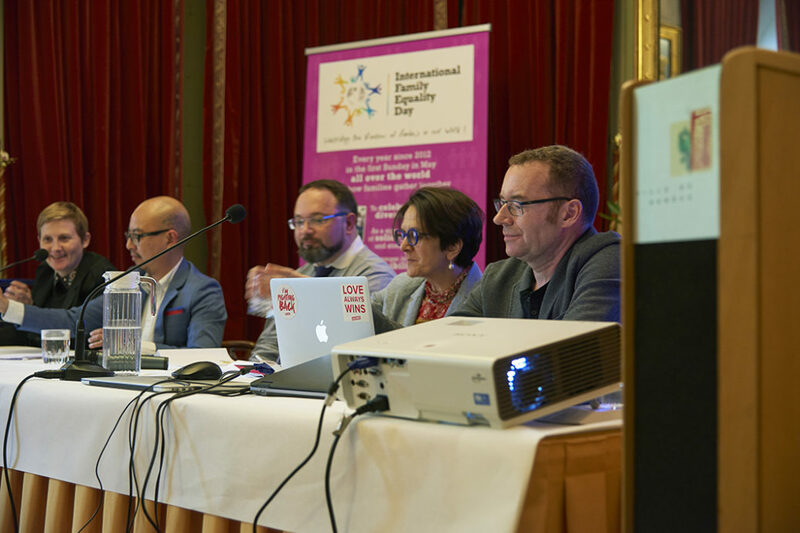 “It has empowered LGBTIQ-parents and their children across the globe as well as provided opportunities to forge new alliances.” The committee felt that it was now time to take the next step in institutionalizing the IFED and furthering its cause: On May 3rd, the “International Family Equality Day” was founded – a Non-Profit-Organization dedicated to the promotion of the IFED. The goals of the newly established association are clear. “On one hand, we want to ensure that the IFED remains a neutral event, unbranded, open to everybody”, says Co-President Derricia Castillo-Salazar from Belize. On the other hand, the IFED aims at mobilizing all possible parties – from grassroots organizations to politicians, from volunteers to governmental authorities – so as to increase the scope and diversity of the awareness day. “The greater our visibility, the greater the impact of our ideas and ideals on global public opinion and decision-makers“,Co-President Maivon Wahid explains.